Top quality carpet cleaning services in Shepherds Bush W12 provided by qualified professional carpet cleaners from First Class Cleaner. Give us a call now and get an instant quote! Carpets are some of the main providers of dust mites and allergens. In a home, or any other indoor space as a matter of fact, it is important to keep carpets clean and disinfected if we want to release them from dust and bacteria that can otherwise very quickly force their negative impact on us. 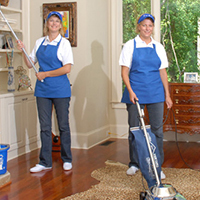 These days, there are all kinds of cleaning services available, which can help a person have their place cleaned and taken care of, such as carpet cleaning services. Using this type of service, a person can get a peace of mind in terms of hygiene at home or in the office. Carpet cleaning is the process of removing all types of stains, dirt, dust, bacteria, allergens and other agents from the debris of a carpet and disinfecting it, so that is hides no risks for the health of the people, who are in contact with the carpet. Having children is an even bigger reason to make you choose to have your carpet cleaned professionally every once in a while. The service can be performed on a regular or one off basis, due to every client’s individual needs and preferences. To make our service even better, we use high-quality eco detergents, that can’t harm your health or the environment. They are free of strong chemical smells and leave a nice natural scent.